Due to my avatar, I often encounter the following. 'Torch, I want to get into Gundam but it's hard to. Where do I start? Where can I view it? Subs or dubs? What order should I view it in?'. It's understandable. Afterall, the franchise has been going for almost 40 years with an inconsistent history of releasing internationally. Luckily, old Torch is writing this guide up just for you. The guide's going to help break this down for you: We'll focus on general questions, such as subs/dubs and where to view, then where I recommend starting, followed by a listing of the series and where they are in terms of required viewing. Anything else I can answer in the comments. So let's get started. This is what hurts Gundam the most. While almost every single entry is available on physical media, thanks primarily to Right Stuf Anime, digitally it's all over the place. No single service, whether it's Crunchyroll, Hulu, Netflix, iTunes, etc, has all of them in one place, and some series do not exist digitally. The sad reality is that you may have to pirate if you can't afford 60+ USD for many of the series before shipping, or if it's impossible to buy a copy for your region. If you have to pirate, promise me that you will buy them down the road at some point. If they aren't available in your region, then at least consider buying a model kit from that series. That's the other part of how Bandai determines a series success. There is one place to keep an eye on however. The GundamInfo youtube channel, as often times they will upload entire series or movies for free, either permanently or for a limited time, including ones that the other services don't have. For instance, in order to promote new kits for ZZ Gundam and Gundam F91 last year, their respective show and movie were uploaded for a limited time. Hell while I was writing this, both of Thunderbolts movies were up, and ZZ is scheduled to return soon. Watch them in subs. There is only one exception to this, and I will make it known when we get there. Gundam media did not consistently come over, and as a result, you may as well get used to hearing Japanese. In addition, in the main 'timeline', characters go through multiple voice actors for the english dub, unlike the original, making the experience even more jarring. Coupled with an undubbed entry, like the transition from Zeta to ZZ, doing this can result in a disaster. This is not to say that English dubs are bad. I want to make that clear right now. I've heard nothing but praise for some of the series, and if you want to use dubs, by all means. Just keep in mind what I've said. It's not coming from being snobby/elitist, but trying to ensure you have the smoothest experience possible. Now to make this clear. This is a personal recommendation. You don't have to follow this. You should start with the original series, also referred to as 0079. It's available as a 43 episode TV series, and a revised movie trilogy that trims the fat and lines up more with the creators vision. There are two main reasons for this. The first is that this is the 'start' of the Universal Century, which is the arguably the equivalent of the Marvel Cinematic Universe, although it's more straight forward. Given the political nature of the franchise, and how often characters reappear, starting here is a must. A lot of shows also lift themes and aspects from it, such as the infamous 'Char clone' trope, so it helps you get an understanding of what much of the franchise is like. The other reason is that it is not holding up well in terms of production. It's an anime made in the late 70s with a shoestring budget. Characters and mechs frequently appear with bad proportions. The animation can appear choppy at times. The writing holds up but time is not being kind to it. A lot of people have trouble watching older anime for these reasons, and thus it's better to just watch the trilogy and move on. Now, let's move on to the viewing guide. Our guide will be broken into two segments: The Universal Century, which the original show falls under, and Alternate Universes. Alternate Universes are often their own thing, with few exceptions. However, if you watched the original show, those exceptions do not matter. If a show is available on GundamInfo, I will embed the first episode. Please note that GundamInfo sometimes uploads at lower quality to push you towards the home release or its digital partners. 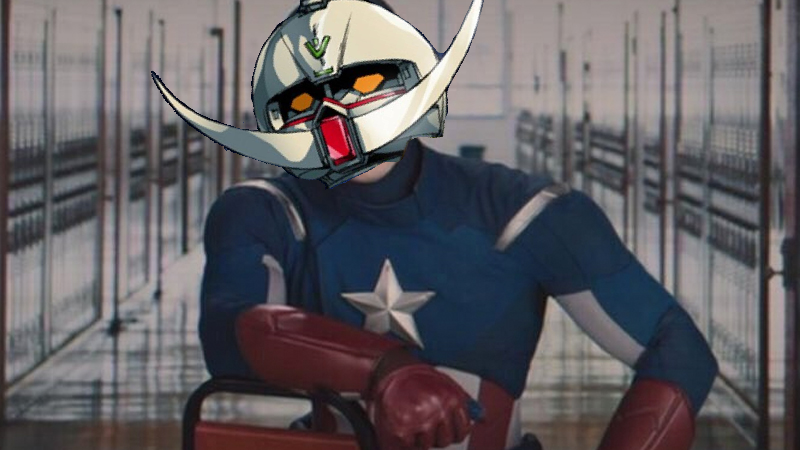 If it doesn't exist on GundamInfo, I will embed the first opening if it's a show, or something else if it's a movie, like Super Robot Wars footage of a mobile suit and character from it. Either way, I will include a summary from Right Stuf Anime. If there's something important, such as a compilation movie of note or it's a bad entry, I will make note of it. So you've seen the original show, that means you're ready to move forward. The shows you see here are meant to be viewed in the following order. There may be spoilers present for each series, so read the summaries at your own discretion. "Universal Century 0083. Having triumphed in the One-Year War, the Earth Federation has grown complacent, while the last remnants of Zeon forces have been planning one final stand. It all hinges on ace Zeon pilot Anavel Gato stealing one of the new prototype Gundams out from under the Federation's nose. With a nuclear-equipped Gundam missing and their pride wounded, the Federation ship Albion and rookie pilot Kou Uraki set out in pursuit of the Zeon thieves and the stolen Gundam GP02A." Note: You don't necessarily have to watch this before Zeta, as Zeta was created long before Stardust Memory. However, the events within are referenced in Unicorn, so it has to be on your watch list. "The Earth Federation stands victorious, but are they still on the right side? In Zeta Gundam, we see the future world of the Universal Century through a dark mirror. Having defeated the Zeon menace, the Earth Federation has itself become cruel and oppressive. A new generation of Gundam mobile suits is created not to fight for peace, but to punish the enemies of the state, and yesterday's villains must become today's heroes in order to balance the scales of justice. When a young civilian named Kamille Bidan is caught up in the rebellion, he little suspects the price he will pay in the fight for freedom." Note: A set of compilation films known as 'A New Translation' exist. They're a mix of new and old animation, along with altered plot points, including the ending. It doesn't mesh up nicely with the follow up, so I would not recommend it. Also, due to licensing issues that often plague anime and games, the opening songs are not apart of any version of the show outside of Japan. If you want to hear them, here's the first one and the second one. "It is the year 0088 of the Universal Century in Mobile Suit Gundam ZZ. The badly damaged assault cruiser Argama docks at the run-down space colony of Shangri-La for much-needed repairs. While the Argama is in drydock, a young junk dealer named Judau Ashta sneaks aboard in an attempt to steal the Zeta Gundam. He wants to sell it in order to help his sister, but instead he finds himself coerced into joining the Argama’s crew. Unfortunately for Judau, the Argama is being pursued by a dedicated Neo Zeon officer named Mashymre Cello. In order to protect both his sister and himself, Judau must master the Argama’s newest mobile suit, the ZZ Gundam." Note: No dub exists for Gundam ZZ. Also the first half is a little wonky due to the creator's mood swings, so give it some time. The second half is genuinely great. That being said, there are guides for an optimized viewing of ZZ, although I do not know what the episodes included are. Universal Century 0093. 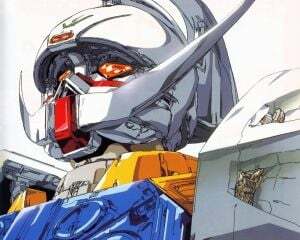 Thirteen years have passed since the events of the original Mobile Suit Gundam series. But the foundations of peace are once again threatened by a new Neo Zeon army led by the notorious Char Aznable! Their ultimate goal is to initiate a nuclear winter upon Earth ushering in a new age of mankind into space. Armed with the state of the art Nu Gundam mobile suit, Amuro Ray and the Federation forces are all that stand against Neo Zeon. Driven by vengeance, duty and love, the final battle between rivals Char Aznable and Amuro Ray is at hand." Important Note: Unicorn released as a series of 7 films originally. They were then recut for TV, and the TV cut is considered worse. The films are currently on Netflix, watch them there. The TV show also has spoilers in its opening sequence so be aware of that if you choose that option. "Universal Century 0096. Three years after the last conflict between Neo Zeon and the Earth Federation Forces, the tentative peace of the Earth Sphere is about to be shattered again. Cardeas Vist, the head of the powerful Vist Foundation, has decided to hand over “Laplace’s Box," the secret of the Foundation's prosperity, to the supposed enemy, Neo Zeon. Banagher Links, a student at the space colony Industrial 7, rescues a mysterious girl who calls herself Audrey Burne. Audrey is seeking to prevent a war, but it seems she has come too late. As Banagher's home colony is devastated by the attacks of the enemy mobile suit Kshatriya, he finds his strange destiny and is forced to fight in the formidable weapon system known as the Unicorn Gundam." "Late U.C. 0096. The Earth Federation government, regarding the existence of the "psycho-frame" as a threat, organizes the Mastema special forces team under the command of Lieutenant JG Mehmet Merca, a member of its intelligence bureau. The team is ordered to enter and investigate part of the shattered asteroid Axis, which is drifting in the Earth Sphere. The investigative team accompanying Mehmet includes two civilians named Arlette Almage and Danton Highleg, who were formerly an engineer and a test pilot with the Principality of Zeon and Neo Zeon. While investigating a supposedly unoccupied facility within Axis, Mastema comes under attack from a new model of Gundam that belongs to a private militia called Birnam. Arlette and Danton fight back using a red Zaku III Custom, a mobile suit they once helped develop. As the fighting escalates, Arlette, following a secret agenda of her own, makes her way to the wreckage of the Sazabi that lies abandoned on the surface of Axis..."
Notes: This one is a mess. It's a light novel that got butchered into a 21 minute work that was further butchered into 6 parts. Only the first part is available internationally. You actually have to pirate the rest. You can skip this for the most part, just be aware it was brought into 'canon' to explain why certain forms of tech are no longer used, and even then it fails to make that clear. "U.C. 0097, one year after the opening of "Laplace's Box." Despite the revelation of the Universal Century Charter that acknowledges the existence and rights of Newtypes, the framework of the world has not been greatly altered. However, the RX-0 Unicorn Gundam 03, which disappeared two years earlier, is now about to show itself in the Earth Sphere once more. A golden phoenix... named Phenex." Important Note: Narrative is not out yet, and will release in theaters on November 30 in Japan. No word of an international release at this time. This was revealed alongside Narrative, but no footage or anything was given at the time. It's supposed to be a trilogy as far as we've been made aware. Hope you like a terrorist as your protagonist. "Mobile Suit Gundam F91 takes place in U.C. 0123. After a generation of peace, the Earth Federation has begun to build new space colonies to house humanity's growing population. But a new force, the aristocratic Crossbone Vanguard, plans to seize the colonies of the newly constructed Frontier Side for itself. As their home becomes a battlefield, a handful of young civilians struggle to escape the conflict. To save his friends and family, the reluctant warrior Seabook Arno becomes the pilot of a new Gundam which bears the code name F91." Important note: F91 is essentially a soft reset due to taking place 30 years after Char's Counterattack. You can watch it without having seen the previous series. Bit of a mess though since it wasn't clear during production if it was going to be a TV show or a movie. Also may the Japanese voice actor for Seabook, who passed away at the time of writing, rest in peace. He also played Bernard in War in the Pocket. Üso wants with all his heart to protect those around him, so he becomes the pilot of the Victory Gundam. He's about to experience firsthand the absurd reality known as war..."
Important note: Once again, Victory does a large timeskip of 30 years and is standalone. However, it is easily the worst Gundam series I have seen to date. I would recommend skipping it. Second note: There is no dub for Victory. Like any good series, side stories start to appear. In the case of the Universal Century, currently all of them take place during the original series. So like I said, if you've watched that, you immediately know some of the important details and context for when they take place. It should be noted that all of these are very short and take place over twelve episodes or less. "Universal Century 0079. When the Principality of Zeon learns of a new Gundam being built, the veteran specops Cyclops Team is dispatched to the civilian colony of Libot to investigate. Their newest member, Bernard “Bernie” Wiseman, gets shot down in action and meets young Alfred “Al” Izuruha, who dreams of mobile suits and space battles. Al thinks of Bernie as a friend, and even goes to great lengths to track him down while on his mission. He doesn’t realize the potential danger he’s in. And Al’s nextdoor neighbor Christina “Chris” Mackenzie returns home with a new “government job.” She’s really the test pilot of the top-secret Gundam Alex the objective of Bernie’s mission! As the story unfolds, three lives will be changed forever by this one small part of the war." Note: This was the first ever side story in the franchise. To date, this is the only entry where the protagonist doesn't pilot a mobile suit at any point. "The year is Universal Century 0079. The Federation has begun mass production of prototype Gundams for use by its ground forces. Shiro Amada, commander of the 08th MS Team, must lead his soldiers through fierce fighting on the ground. However, the Zeons are developing a secret project which could tip the balance of power! Can Shiro and his ragtag team of castoffs, rejects, and bad attitudes save the Federation?" Note: The Ocarina of Time voice actor for Link voices the protagonist in the Japanese dub. If it seems familar, that's why. "Universal Century 0079. With the outbreak of the One Year War, the Principality of Zeon seeks new weapons and technology to counter the numerical advantage of the powerful Earth Federation. Bear witness to a side of the One Year War that until now has been shrouded in secrecy." Note: Only watch episodes 1-6, the last three are something different and are straight up bad. Also this is mid-00s CGI, meaning it has aged horribly. A lot of it is weightless, and it does not hold up visually. Io Fleming, though part of the Moore Brotherhood, hates being tied down by his homeland and family history. Daryl Lorenz, having lost his legs in earlier battles, is now an ace sniper of the Living Dead Division. When they confront each other on the battlefield, they will reach a mutual realization. These two are destined to kill each other." Note: Thunderbolt is the odd one of the group. It's an ongoing manga, set in an alternate timeline, that gets parts adapted into four episodes which air exclusively online. Those episodes eventually vanish, Sunrise later puts out a compilation movie of those four episodes with touch ups and additional footage, and that becomes the standard release. The current movies are December Sky and Bandit Flower, and Bandit Flower ends on a major cliffhanger. It's unknown when more will be done, however you can read the manga either way if you can't wait. "Universal Century 0068. Side 3, the Autonomous Republic of Munzo. Zeon Zum Deikun, who has been leading Munzo toward independence from the Earth Federation, collapses and dies in the middle of a speech. As the Zabi family seizes control of Side 3, Deikun's children, Casval and Artesia, take refuge on Earth and begin peaceful lives under new identities. But the Zabi family is preparing for war with the Federation, and the two orphans will find themselves drawn into the growing conflict..."
Note: This set of 6 movies is based off a completed manga that not only acted as a prequel but kept going into an alternate version of the original series. As a result, this is not a perfect connection, despite Sunrise acting otherwise, but it does help you get a grasp on what went on that led to the original series. Here we have series that, mostly, have no connection to the Universal Century. The few that do have light ties won't be an issue if you watched the original like I recommended. Most of them are self-contained meaning they are also fine as entry points to the franchise. Friendly reminder that you're looking at time, a revolving door of staff, and exectuvie meddling at times, so expect varying levels of quality. "It is time for the "Gundam Fight" tournament! Each country sends a Gundam to Earth for this prestigious tournament in the hopes of winning power and glory for their homeland! But this time, there's an unseen evil lurking behind the scene. Domon Kasshu, Neo Japan's reluctant Fighter, is determined to uncover this evil and clear his family name! The fight to the top begins now!" Note: This was the first alternate universe to happen, and took it to the extreme. To this day it's unlike any other entry. I fully recommend dubs for this one, as it only enhances the over the top nature of the show. It's also the source of the infamous shining finger clip. Think of it as Punch Out meets Street Fighter meets Gundam and you're set. Important note: This show has the greatest horse in anime history as this clip shows. "Mankind has moved into space. Thousands of people live on giant orbiting space colonies called "Sides." However, the Earth Government, which rules the colonies, is unjust and cruel. A group of revolutionaries build five robotic weapons called Gundams and plan to send them to Earth to begin their fight for independence. Piloted by five young men, these Gundams carry the colonists' hopes and dreams of freedom with them as they descend to Earth to begin Operation Meteor!" Sequel/Follow Up: After you're done the show, you watch Endless Waltz. It exists as a set of episodes and as a compilation movie, with the movie having additional scenes and an altered musical score. Hell even if you drop the TV show, watching Endless Waltz. It's fantastic. "In After War Gundam X, what started as a single space colony's war for independence turned into an all-out war between the space colonies and Earth. No one was safe from the conflict, and Earth, the home of all humanity, suffered heavy damage in the fighting. Almost all of Earth's population – once as many as ten billion people – was lost. It's only now, 15 years after the end of the war, that Earth's environment has at last stabilized again. Garrod Ran is a war orphan, but when it comes to mobile suits, he has superb knowledge and skills. He receives a request from a mysterious gentleman to rescue a girl named Tiffa; and so he sneaks aboard the Freeden, the land warship where she is held captive. With the girl safely in his care, he returns to the mysterious gentleman, but when Tiffa sees the man, she's overcome with panic. Quickly judging the situation, Garrod takes her and escapes. Guided by her unusual powers, they end up at the remains of an old Federation factory, where they find the mobile suit “Gundam X”..."
Note: Two things. First, no dub exists for X. Second, you'll often hear/read that X was cancelled. While that is correct to a degree, the show still has an actual mostly clean ending to it. Don't let that turn you away. "In Turn A Gundam a separate race of humanity has lived on the moon for 2000 years. Known as "the Moonrace," their technology is leaps and bounds beyond those that stayed behind on the Earth's surface. Now seeking to return to their original home, the Moonrace send three teenagers, Loran, Keith, and Fran, down to Earth on a reconnaissance mission to test the viability of its environment. After spending a year on Earth, Loran has become good friends with Sochie and Kihel, daughters of the prestigious Heim family, and he looks forward to fully integrating into Earth society. But before Loran gets the chance to make his report, the Moonrace launch a surprise attack. Earth's primitive airplanes are no match for the superior power of the Moonrace's mobile suits. However, in the midst of the initial attack, Loran and Sochie uncover a long-forgotten relic: a white mobile suit. As a Moonrace, Loran is quickly able to grasp the basics of piloting it, but by doing so, he inadvertently places himself in the middle of a war." Note: No dub exists for Turn A. In addition, this is the last show done with traditional animation before the switch to digital. P.S. : This is my favorite one. Gonna be honest here. No summary on Right Stuf yet, as the rerelease hasn't happened yet, and don't care enough about SEED to give you one (also not that far in myself to even attempt a non-spoiler one). When Right Stuf puts one out, I'll edit it in here. Here's the big thing to note. Two cuts of SEED exist. The original one, and the HD remaster. The remaster has some redone footage and trimmed out two episodes worth of fat. However, while the Japanese version uses the same cast, the two have different English dub casts. It's currently unknown what the quality of the new dub is as it's not out yet. Sequel/Follow Up: After you're done, you'll be watching SEED Destiny next. Fair warning, I've only heard bad things about it. It also has an HD version, with the dub in the same boat as before, so that is up to you. You can start it legally here. There is also a sidestory called Stargazer, which takes place during Destiny. Only has three episodes to it. "The year is 2307 A.D. While the Earth's reserves of fossil fuels have been depleted, humanity has obtained a new, nearly infinite source of energy to replace them in the form of large-scale solar-powered generation systems based on three huge orbital elevators. However, the benefits of this system are available only to a handful of major powers and their allies. In this world of unceasing conflict, a private armed organization steps forward, declaring their intention to eliminate war through martial force. Using the power of their mobile suits combatively, a series of four high-performance machines each dubbed "Gundam," the paramilitary organization known as Celestial Being takes the world stage, beginning armed interventions within all the world's nations." Sequel/Follow Up: After you watch the show, you'll need to watch the movie A Wakening of the Trailblazer. There might be more in the future for this as well, as 00 is very popular and a 'sequel' in the form of a play is happening in Japan. Hundreds of years have passed since the space colonies were settled and the space age began. The wars that were once fought for control of the Earth Sphere had ended, and it seemed that an era of peace had arrived. But this fleeting peace has now collapsed. In the year A.G. (Advanced Generation) 101, the space colony Angel is attacked and destroyed by a mysterious "UE (Unknown Enemy)" that suddenly appears. This disaster, which produces many casualties, is later known as "The Day Angel Fell." The UE will continue to threaten the people of the Earth Sphere for many years to come." Note: No dub exists for AGE. AGE had involvement from Level-5 staff, and was supposed to originally be just a game. In addition, it went with something a little diferent. It consists of three arcs, each one following a new generation of a family. Expect time skips and protagonist shuffling. Important Note: The second arc had an OVA called Gundam AGE: Memories of Eden. Apparantly this was better received, and essnetially reworks the entire second arc with at least an hour of new footage. Keep this in mind when you watch. "The turbulent era known as the Universal Century has ended. Now, mankind looks towards prosperity and peace in the new era known as the Regild Century (R.C.). One of the most important resources in this era is the Capital Tower - a space elevator which towers over the land connecting Earth to space. Its purpose, to transport the Photon Batteries the Earth relies on for power. It is worshiped as a holy place. Little does Bellri know that he is about to uncover truths which will shake the entire Regild Century." Note: Gee, I wonder if this is one of the exceptions I was talking about earlier. Also no dub exists. "A group of child soldiers—Mikazuki Augus, Orga Itsuka, and several others—are sent to protect a young aristocrat seeking to liberate a Martian city from Earth’s rule. When an outside force threatens those involved, Mikazuki must head into battle using a war-era relic—the Gundam Barbatos." Note: This is the newest Alternate Universe, and may possibly get additional material in the near future as it was fairly successful. "The time is the near future. Years have passed since the 1980s, when "Gunpla" -- plastic models based on the "Mobile Suit Gundam" animation -- created a huge boom. They're the Build Fighters everyone is talking about! Their goal is to enter the Gunpla Battle World Tournament -- and win!" Notes: As you can probably tell, this is focused on the model kits. This may or may not sit well with you. If you do go through with this, then you need to be made aware of something important. Build Fighters is considered the best of the gunpla-centric shows. Everything else is considered a massive downgrade, especially the more recent Build Divers. If you want to keep going regardless, the order is Build Fighters Try and then Divers. There are multiple spinoffs/side-stories/whatever, but I don't believe they have an order outside of 'finish the main shows first'. There is no real way to describe Gundam-san. It's a gag manga that received a series of episodes, with the cast and gags focusing on the original series. It's honestly hillarious and I would recommend it. With that, the guide is complete. For now anyways. I'll probably be refining this as time goes on and more entries come out, might even update and bump it when entries are added to Gundaminfo. Hopefully this helps ease you into the franchise. If you start because of the guide, hopefully you enjoy it!